Here is a list of resources that can help you find things to do around town. Chicago Suburban Family Online is a bimonthly magazine available in print and online. Editorial focus is to connect families to the Chicago suburbs with articles on education, wellness, fitness, things to do, celebrations, restaurants, activities and much more. The best of Chicago for the Suburban Family. Cantigny Park Whether you’re looking for a relaxing weekend excursion, to learn a new hobby, take a walk-through history, plan a field trip for your students or just to soak up the splendor of nature, a totally new experience awaits! There’s something for everyone at Cantigny Park. And if you’re not sure what’s here for you, let us make some suggestions. ? 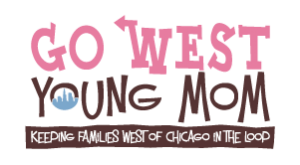 Go West Young Mom is a one-stop, local source for family fun in Chicago’s far western suburbs. If you have young children in your life, and you reside in the Fox Valley — from Elgin in the north to Aurora in the south — I hope Go West becomes one of your favorite destinations on the web! Oaklee’s Guide Online Oaklee’s digital edition and website are mobile and tablet friendly! Just view the website on your phone to find coupons, businesses, and events while you’re on the go. You save on local family fun by printing coupons from the coupon page. And when you’re on Facebook, check out the Oaklee’s Guide page where you can win great prizes, read fun parenting topics and get the latest discounts. Here are some websites with kid-friendly fun and games. ABC Mouse: With 8,500+ Interactive books, educational games, puzzles, and other learning activities. 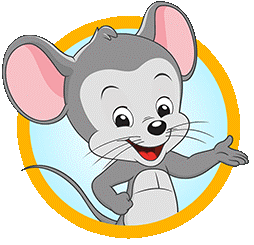 ABCmouse.com’s award winning online curriculum is an invaluable resource for young learners (Ages 2-8+). Capstone Kids.com Reading doesn’t have to stop when the book ends! Capstone Kids makes learning outside the classroom fun and exciting. Explore kid-friendly activities, games, quizzes and more. Discover behind-the-scenes info and unknown facts about kids’ favorite characters. Download party kits, posters, book club activities, how-to instructions and lots of other cool stuff. PBS KIDS content helps preschool and school aged children in each of the four key areas of childhood development – cognitive, social, emotional and physical. Funded by a Ready To Learn grant from the United States Department of Education, the Ready To Learn initiative is developing engaging PBS KIDS Raising Readers television programs, exciting games, playful Web sites, and easy-to-use learning resources for kids, parents, caregivers, and teachers—all with the goal of helping children ages 2 to 8 get ready to read.